Ashley’s goal is to prevent problems before they happen. 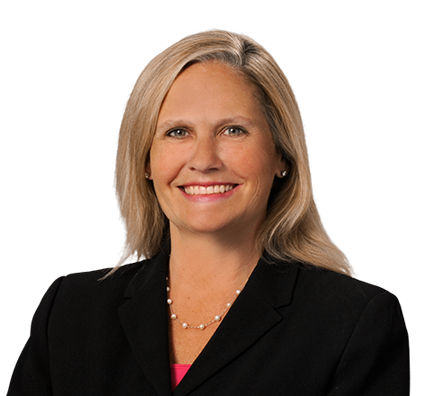 With an emphasis on proactive counsel, she works with clients to minimize litigation risks. Ashley focuses her practice on labor and employment matters and regularly advises on issues such as personnel policies and handbooks, employment agreements, employee discipline and termination, and wage and hour compliance. She provides companies with a full complement of day-to-day employment counsel that fits their business needs. She has made more than 100 presentations to clients and their workforces, human resources professionals and in-house counsel on related topics. Ashley has extensive experience designing and conducting comprehensive, effective investigations of employee complaints. She also provides management training to clients so that they can better navigate hiring, termination and performance issues, as well as minimize legal liability. When litigation does occur, Ashley is a persuasive advocate before state and federal courts and administrative agencies against a wide variety of claims. Clients feel confident in her guidance and counsel as she leads them through a stressful, complex process. Won summary judgment in federal court against disability discrimination lawsuit following thorough briefing and oral argument. Has successfully mediated numerous claims brought by employees and filed with Equal Employment Opportunity Commission (EEOC) to clients' satisfaction without incurring high litigation costs associated with federal courts. Routinely submits statements of position to Equal Employment Opportunity Commission to obtain favorable "no probable cause" findings. Served as previous firm's internal employment attorney for more than 300 partners and employees in seven offices nationwide.